One good way to be thrifty is to take care of the items that you already have. 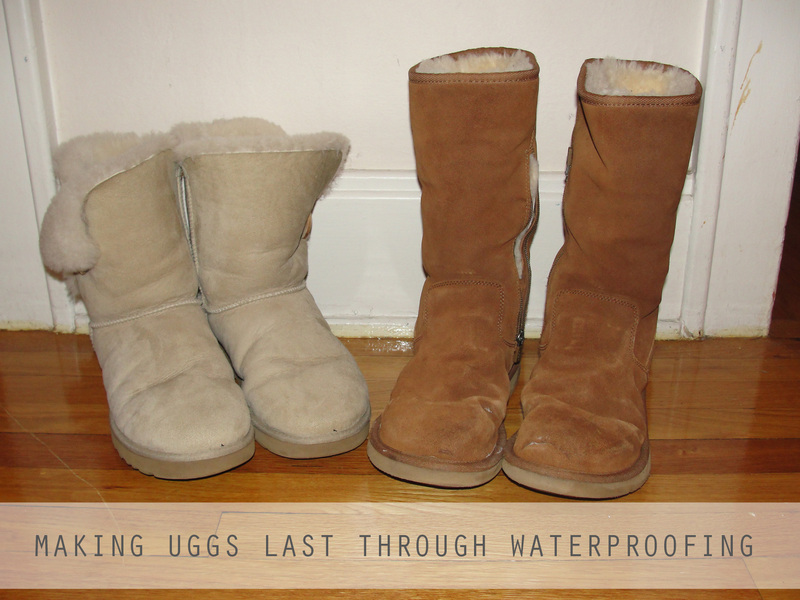 I have two pairs of Ugg boots that I love to wear throughout the winter. I realize they’re a bit of an eyesore, but they’re so cozy! It’s getting to be cold again here in Upstate New York so I decided it was time to start wearing my Uggs. But first I wanted to be sure they’re winter ready. I have weatherproofed my boots since I first had them, so they’re already in great shape. The light colored pair of Bailey Button Boots is coming into its 4th season of use, and the taller side-sip boots are coming into their 5th or 6th year. First I wanted to get off any lingering grime from the boots. I used a mixture of roughly ½ vinegar and ½ water to remove minor debris and road salt. The vinegar mixture won’t get off major stains, but it works as a touch-up. Use a cloth like a dish towel, not paper towels. Make sure to “groom” the boot in a single direction; don’t just rub like crazy. This will help maintain the exterior quality and visual finish. Next, I applied a spray coating of waterproofing to the boots. 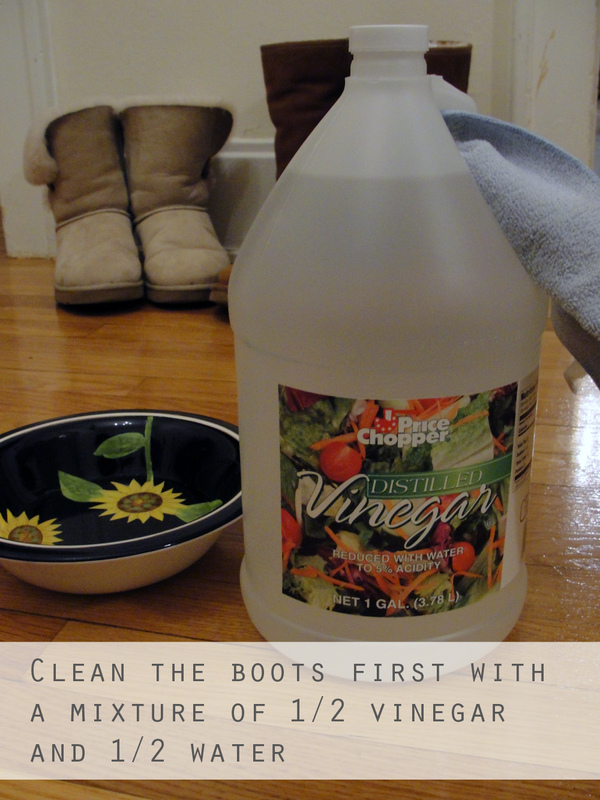 Make sure your boots have completely dried from any cleaning before this step. 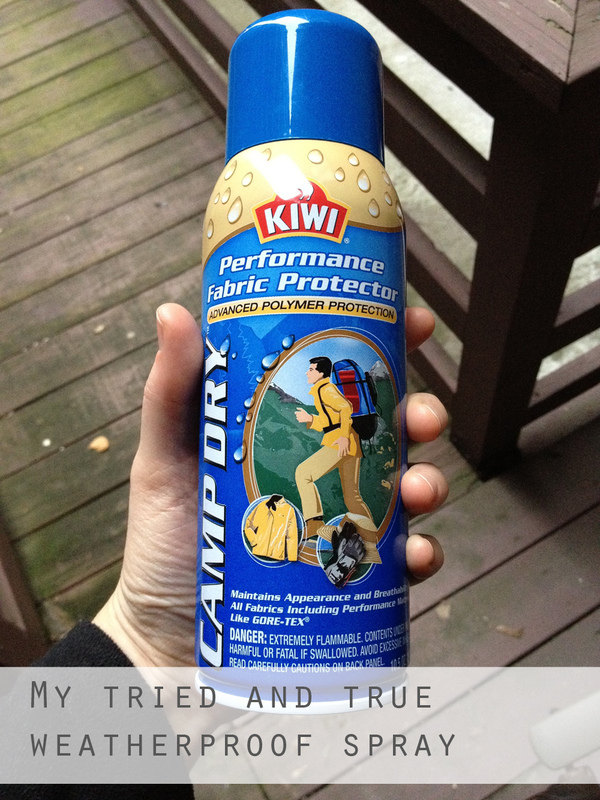 I use Kiwi Brand “Camp Dry Performance Fabric Protector.” You can find this and other waterproofing spray in the shoe section of Target. I suggest that you use this spray outside and leave your shoes outside for a little bit after application because the smell is a little potent. 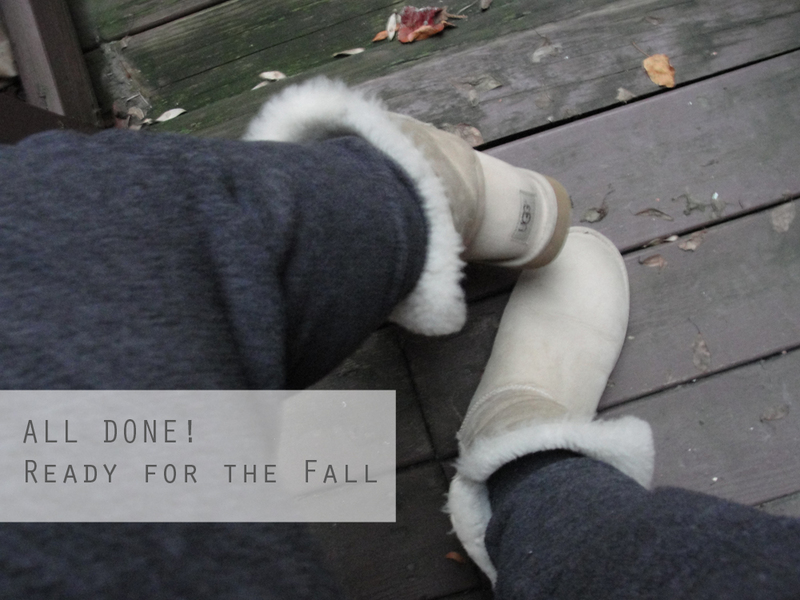 Since my boots have been waterproofed with the same spray last year, I only did one coat. When the boats were brand new I applied two coats, letting the first round dry completely before continuing. My boots are now ready for the winter!